Home Breakage Dry Hair Hair Care Tips Relaxed/Texlaxed Hair Nape Breakage? For some people the nape hair grows just fine. For others, the nape area suffers constant breakage, stunted growth, and is the most fragile section of the scalp. Do you have nape growth issues? If so, any of the following could be the source of the problem. 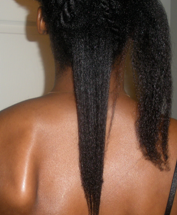 Eliminate that source and your nape hair will be restored to good health and growth. *breakage from tight headbands, scarves, etc. That is some serious growth sista. :) I try to keep my hair moisturized and wear updo's quite a bit during the winter to avoid this. Thanks, girl! Updos are a great idea for the cold weather. woooooooooooooow!!! Great job girl! Your hair looks amazing! My nape looks just like yours use to.. but worse. its like its shaved! I need help! @Anonymous: Just baby that nape like crazy, and you'll see some progress. Extra TLC will do wonders! I actually have a real problem with my nape and have been looking for ways to stop the breakage. I'm definately going to take more care of my nape. I need some serious help with my nape too. Thanks for the tip. Your is Beautiful! I find that Argan (one n only) curl cream massaged into the scalp & braided has helped me like a wonder growth for me. How did you achieve that hair retention? I have the similar nape breakage and Im at a loss at what to do. Ive tried deep condition's and keeping it moisturized, did you braid up the back to keep the nape protected? what was you're daily/weekly regimen? Thank you for responding to me so quickly!! Okay I will do all that! 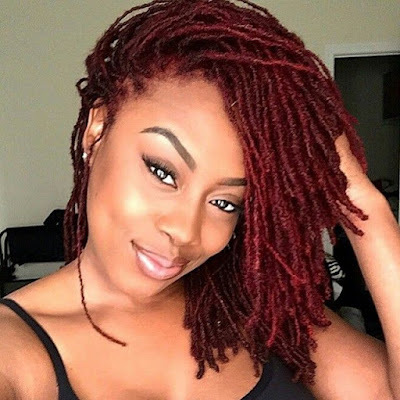 Quick question; could you be more specific in what types of protective styles? Sorry to be a a bother but my hair is overwhelming me. No, you're not a bother. Lol! I sometimes kept my nape in twists or braids even in out styles. (I actually still do this today.) However, I do not twist/braid too tightly or too small in that area. Another protective style (which was popularized by Mooks on the hair care boards) is to cornrow the nape horizontally. Here is a video tutorial: http://www.youtube.com/watch?v=ZbupGVjj6TY.